Super low in calories, naturally fat-free and having more potassium than four bananas, coconut water is one of the best electrolyte hydrators in the world. It’s Mother Nature’s sports drink and it is just as effective (or more effective) than any carbo-electrolyte drink on the market. 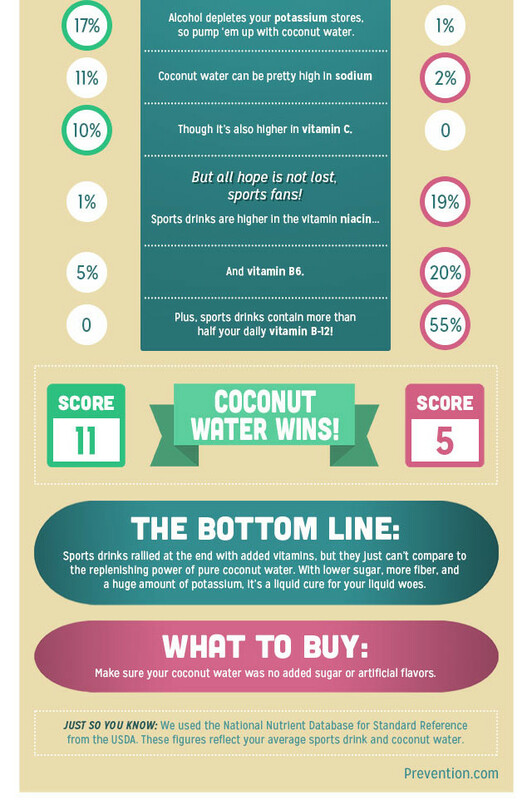 Coconut water has fewer calories, less sodium, and more potassium than any sports drink. Ounce per ounce, most unflavored coconut water contains 5.45 calories, 1.3 grams sugar, 61 milligrams (mg) of potassium, and 5.45 mg of sodium compared to Gatorade, which has 6.25 calories, 1.75 grams of sugar, 3.75 mg of potassium, and 13.75 mg of sodium. 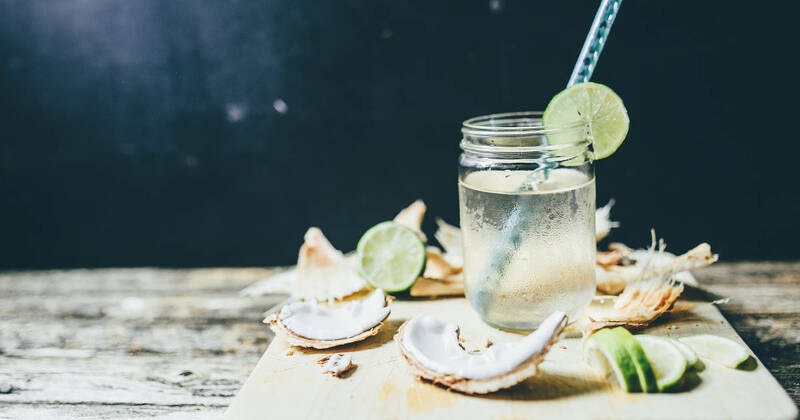 What makes coconut water interesting for brand owners is that it offers many of the same isotonic benefits as formulated sports drinks but in an all-natural form. No additions are necessary, not even sweetener. The drink offers calcium, magnesium, and potassium to the sports enthusiast with the need for fortification. Cytokinins are phytohormones, or plant hormones. These hormones regulate the growth, development, and aging of a plant. Coconut water has been an important horticultural resource, used in the propagation of several plants, including orchids and traditional Chinese medicinal herbs. The cytokinins found in coconut water support cell division, and thus promote rapid growth. Cytokinins have actually been found to exert an anti-aging effect on human cells and tissues. When human cells are exposed to cytokinins, aging slows down considerably. Cells treated with cytokinins don’t undergo the normal degenerative changes, so they don’t “act their age.” Researchers have suggested that if you consume a diet rich in cytokinins, you may experience anti-aging effects and have less risk for degenerative and age-related diseases. 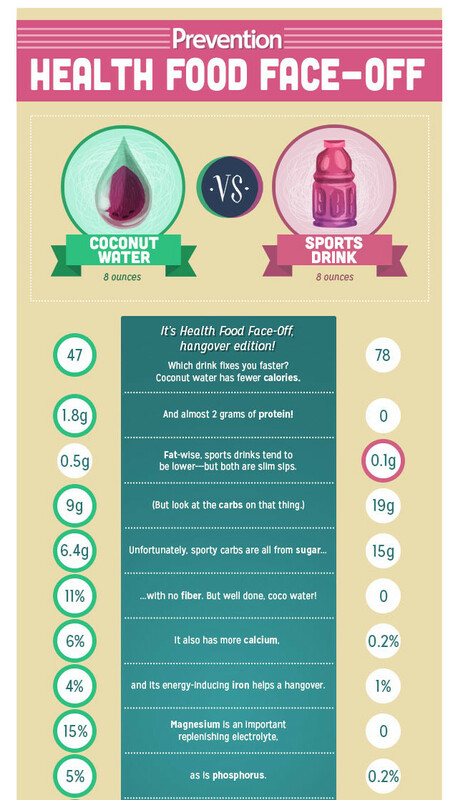 And coconut water is the richest natural dietary source of cytokinins. It is one of the best replacements for many liquids in smoothies designed to decrease inflammation. It is so hydrating because of the electrolyte composition, which is very similar to human plasma. Staying hydrated will help you feel full for longer, which in turn will reduce hunger and sugar cravings. This will effectively lead to you eating less, which means your total calorie consumption will go down. Drinking coconut water also flushes out toxins which will help you lose weight faster and also reduce those cravings and hunger pangs. Pure coconut water is just as effective as a carbohydrate-electrolyte sport drink at rehydrating exercise-trained men after a 60-minute bout of dehydrating exercise, according to findings published in the Journal of the International Society of Sports Nutrition. The study included 12 exercise-trained men with an average age of 26 and assigned them to receive approximately 125% of the body mass loss of pure coconut water (VitaCoco), coconut water from concentrate, bottled water or a carbohydrate-electrolyte sport drink equal to. This was the equivalent to about 2 liters per person. Refuels and rehydrates “ coconut water maintains the body’s fluid levels and its potassium content helps maintain water pressure within cells and blood. Due to its electrolyte content, coconut water improves nervous system functioning and nerve transmission. It Prevents cramps and spasms in the muscles. Including potassium, sodium, magnesium, phosphorus and calcium, coconut water contains important positive ions to help regulate the heart, muscles, balance fluids and maintain electrical potential in cells.